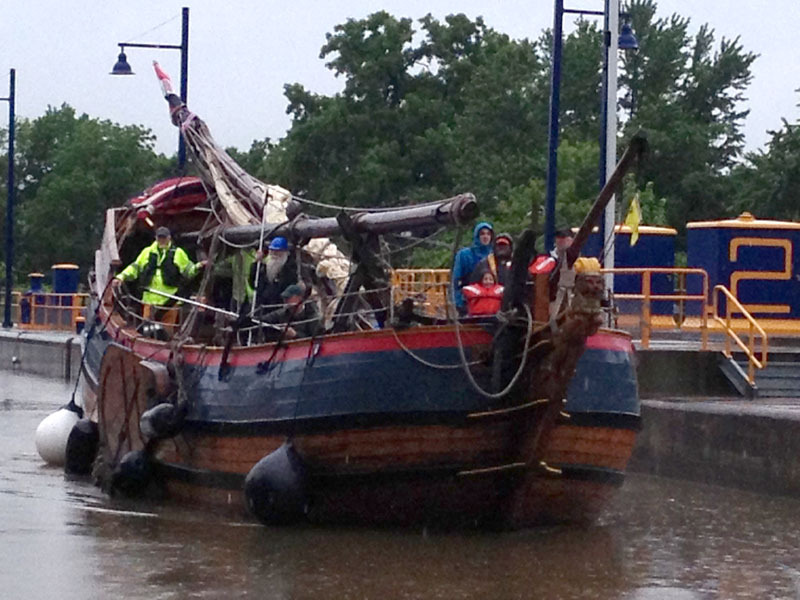 We’ve had a lot of rain lately and so our trip through the southern end of the Champlain Canal was faster than we had calculated, with the current from the Hudson River adding about 2-knots to our speed. 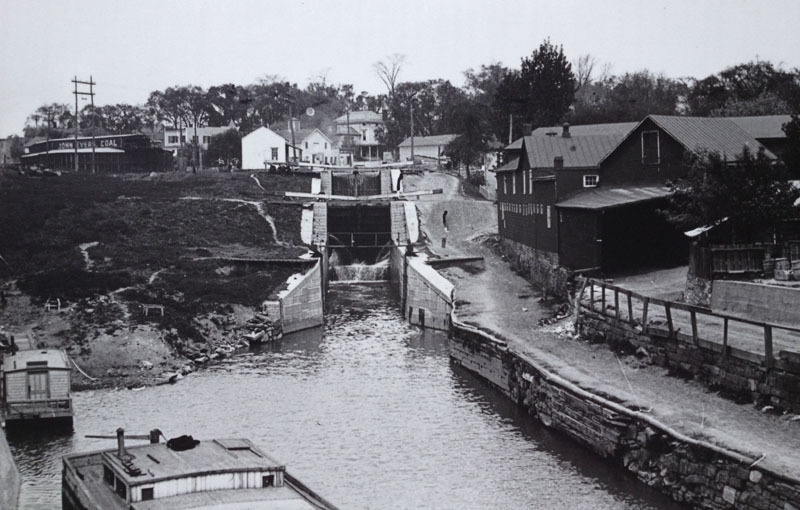 As we rounded the wall at the junction of the Champlain and Erie canals, which was also the junction of the Hudson and Mohawk Rivers, we were well ahead of schedule. 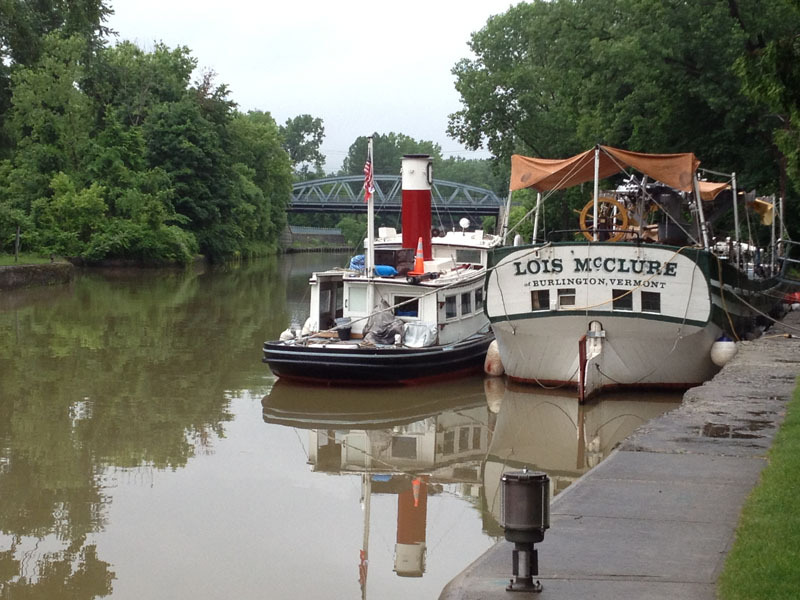 With more rain in the forecast, some of it potentially heavy, our knowledgeable friend John Callaghan, suggested that we go up above Lock E2 to the wall near the Old Champlain Canal. That proved to be very sage advice as just a day later we were struck with a powerful storm event that flooded the system and forced the closure of the canal. To their great credit, the canal team worked tirelessly to control the flood-waters and to move all boaters into safe harbor. They provided all manner of support to these stranded boaters from far-flung places like Michigan, North Carolina, Ontario, Colorado and Vermont. By the time the storm was over, the raging waters of the Mohawk River and debris it carried had caused sufficient damage the dams on the river so that the system could not operate until it was fixed. With the Canal Corporation moving into active repair mode, the question now on everyone’s mind was how long would that be? As I pondered our situation at our position of safety lying directly next to the Old Champlain Canal and just a dozen yards from the expanded 1860’s three-stone-lock “Waterford Side-Cut”, I wondered if our ever vigilant canal boat captain, Theodore Bartley had experienced a similar situation. I began looking at the entries in the remarkable 29-year record record of life on the canal from1861-1889 that Theodore had left us and which had been meticulously transcribed by his great granddaughter-in-law and now veteran Lois McClure interpreter Barbara Bartley. I didn’t have to look for very long when I came across an entry for 1884 that was almost prophetic. 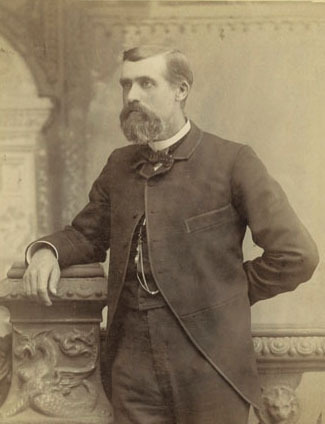 It was the beginning of the 1884 boating season and Captain Bartley had just delivered a load of St. Jean, Quebec lumber to New York City. He had shopped it around and been able to sell it to Cross & Goodwin in Brooklyn for the disappointing price of 12 ¼ cents per piece. He had then taken a job hauling a load of coal north, a frequent return cargo, and took a tow to Newburgh where he was to load his coal for the return trip north. When he arrived at Newburgh, Captain Bartley was told that with the other boats ahead of him it would take a week to load him and so he took the Hudson River steamboat Mary Powell back to NYC to finalize payment for the lumber then later that day took that famous steamer back to Newburgh. After waiting a week to load the coal, he was off to the Champlain Canal and he records that he arrived at Waterford near six in the evening. I found the irony of Captain Bartley’s delay and our situation a wonderful and reassuring coincidence of history as within due course the canal breach that had delayed him was repaired and with his hired horse-team he was on his way. In our situation the Canal folks are reporting daily progress on repairing the system and an improving prospect of moving within the week. We have been in touch with the communities we are scheduled to visit and working to make alternative plans for modified visits in all those communities. Last night the Canal workers organized a barbeque gathering of all the boaters who are here and it was a wonderful evening of stories and visiting. I’m pleased to report that our crew of Len, Isaac, Carolyn and myself were able to open the boat for our neighbors and they all came aboard to experience the magic of our wonderful time machine. The time machine analogy was all that more apparent when I was able to recall for the assembled group the experiences of Captain Theodore Bartley from this same spot exactly 129-years ago. 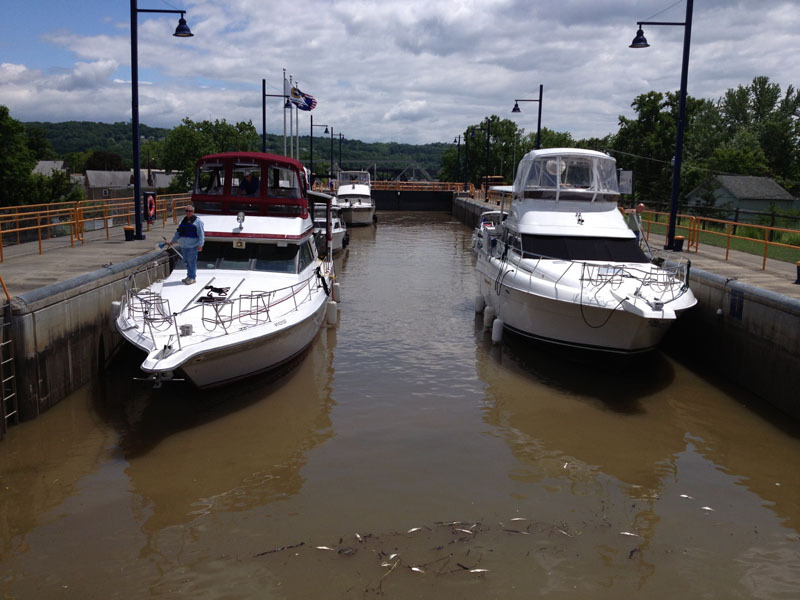 From the crew of the Lois McClure and the other boaters utilizing this extraordinary waterway we convey high praise to the New York State Canal Corporation and their staff. The great care they exhibited for the well being of all the canal users and the skill and dedication they have demonstrated throughout this weather event and its aftermath is a true tribute to the Empire State. It is also a great reflection on the generations of canal workers who came before them and who facilitated safe travels on this historic waterway for canal boatman and their families for almost 200 years. We thank the canal crew who now carry on their proud tradition and who guide this extraordinary system into the future.